The 100,000 Opportunities Initiative is a coalition of leading U.S.-based companies committed to training and hiring 100,000 Americans between the ages of 16 and 24 who are out of school and not working by 2018. A national coalition of leading U.S.-based companies committed to hiring at least 100,000 Opportunity Youth — 16 to 24 year olds who face systemic barriers to jobs and education — launched its efforts at a job fair in Chicago. The 100,000 Opportunities Initiative, supported by MacArthur through the Aspen Institute’s Forum for Community Solutions, brought together 29 companies spanning a number of industries that are committed to collectively hiring 100,000 Opportunity Youth by 2018 through apprenticeships, internships, training programs, and both part-time and full-time jobs. The coalition will work with community-based organizations and civic leaders to help deliver the local skills training and hiring opportunities young people need. The Joyce Foundation is a charitable foundation based in the city of Chicago, Illinois in the United States and operating principally in the broader Great Lakes region. The Foundation primarily funds organizations in the Great Lakes region (specifically the states of Illinois, Indiana, Michigan, Minnesota, Ohio, and Wisconsin). The Joyce Foundation supports the development of policies that both improve the quality of life for people in the Great Lakes region and serve as models for the rest of the country. They invest in and focus on today's most pressing problems while also informing the public policy decisions critical to creating opportunity and achieving long-term solutions. The work is based on sound research and is focused on where they can add the most value. They partner with others and encourage innovative and collaborative approaches with a regional focus and the potential for a national reach. The Joyce Foundation is committed to improving education in Midwest cities, especially by eliminating the barriers that prevent low-income students and children of color from reaching their full educational potential. The Foundation concentrates the bulk of its grant making on improving teacher quality. It also supports other strategies for addressing the achievement gap, including making sure children learn to read by third grade and supporting high quality charter schools and other educational innovations. The Foundation has been a long-time supporter of Chicago school reform, and has also worked in Milwaukee, Detroit, Cleveland, and currently in Indianapolis and Minneapolis. Over the years, Joyce has explored a variety of strategies, including school finance, parent organizing, educational technology, charter schools, and early childhood education. The Foundation has also consistently supported research identifying and evaluating promising new strategies. The Joyce Foundation believes that equipping workers to succeed in good-paying jobs benefits individuals, their families and communities, and the Midwest economy as a whole. Current priorities include promoting training partnerships with major industries and improving community colleges through the Aspen Prize. At the state level, the Foundation's five-year Shifting Gears initiative has dramatically increased access to credentials for low-income adults by streamlining postsecondary, adult basic education, and skills-development systems in five Midwest states. Over the last two decades, the Foundation has tested a variety of strategies to boost workers' skills and help low-skilled workers, women on welfare, ex-offenders, and others who face significant barriers to joining the workforce. Through it all, Joyce has consistently funded research to evaluate promising strategies and learn from the results; Joyce-supported research on welfare-to-work and transitional jobs were major contributions to the field. Amid current economic and fiscal challenges, the Foundation continues to seek innovative strategies that expand access to successful training models and control costs. The Joyce Foundation is committed to protecting and restoring the Great Lakes and developing cleaner energy for the Midwest region, especially through investments in energy efficiency. Its Great Lakes priorities include reducing polluted runoff into the Lakes through restoration of watersheds in the Milwaukee and Toledo areas and preventing invasive species from devastating the Lakes' ecosystem; a recent Joyce-funded study analyzed the feasibility of breaking the connection between the Lakes and the Mississippi River system, through which many invasives come. Over the decades Joyce has supported a network of advocacy groups that have won major policy advances, including the federally funded Great Lakes Restoration Initiative and the binational commitments embodied in Great Lakes Compact. The Foundation has also sought improvements in broader national policies that affect the Lakes, including transportation, agriculture, industrial pollution, and climate change. Its work on energy has included funding on the human health effects of coal and shifts toward high speed rail. Nurturing a diverse and thriving culture is an important part of the Joyce Foundation's dedication to improving the quality of life in the Midwest. The Foundation supports community-based arts groups in Chicago and encourages mainstream arts groups to expand their audiences, boards and staffs to reflect the city's diversity. Joyce grant making also supports expanding opportunities for individual artists through fellowships, residencies and commissions. Since 2003, The Joyce Awards have enabled Midwest arts groups (and, beginning in 2013, other groups) to commission new works by artists of color. Recognizing that technology creates new possibilities for art-making and community building, in 2012 the Foundation began seeking projects that engage audiences through new media and link the arts to community revitalization efforts. The Joyce Foundation has been a longtime funder of such Chicago groups as Black Ensemble Theater, the Cambodian Heritage Museum, and Luna Negra Dance Theater. The Joyce Foundation seeks to ensure the vibrancy of American democracy through its grant making on campaign finance reform, fair and open redistricting, voting rights, governmental ethics, and judicial independence. Joyce has a long history in this area, from funding presidential debates to supporting work on voter registration and full participation in the U.S Census. Beginning in the mid-1990s, the Foundation focused its efforts on combatting the overwhelming influence of big money on political campaigns. It has supported the growth of a strong network of public interest groups in Midwest states, which collaborate through the Midwest Democracy Network; and it has also funded policy development and research by national groups ranging from the Brookings Institution to the Cato Institute. Each year nearly 100,000 people are shot in the U.S., and nearly 30,000 of them die. The Joyce Foundation seeks effective public policies to reduce this toll. Polls show that most Americans, including most gun-owners, favor reasonable laws to keep firearms away from criminals, domestic abusers, and people with mental illness, but the "gun rights" drumbeat has drowned out such common-sense approaches. The Foundation is embarking on efforts to educate the public, policy makers and the media about the toll of gun violence in American communities and potential solutions that honor American traditions while protecting the public safety. Since beginning its work on gun violence in 1993, Joyce has supported policy development and advocacy by state-based groups, physicians, universities, and law enforcement. It has also supported development of legal strategies to defend existing gun laws in the wake of the Supreme Court Heller decision. 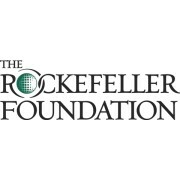 As in its other program areas, the Foundation seeks approaches based on sound data and research. Starting with a prototype at the Medical College of Wisconsin in the 1990s, the Foundation helped establish the National Violent Death Reporting System, a central database that is now maintained by the Centers for Disease Control and Prevention. Joyce has also funded research exploring the relationship between guns and such problems as suicide, domestic violence, and risks to children. 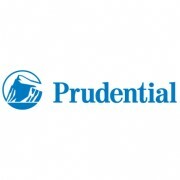 With operations in the United States, Asia, Europe and Latin America, they provide customers with a variety of products and services, including life insurance, annuities, retirement-related services, mutual funds and investment management. They strive to create long-term value for their stakeholders through strong business fundamentals, consistent with their mission guided by their vision and directed by their company's core values. They measure their long-term success on their ability to deliver value for shareholders, meet customer needs, attract and develop the best talent in their industry, offer an inclusive work environment where employees can develop to their full potential and give back to the communities where they live and work. They are committed to keeping their promises and doing business the right way. The W.K. 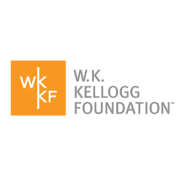 Kellogg Foundation (WKKF was founded in June 1930 as the W.K. Kellogg Child Welfare Foundation by breakfast cereal pioneer Will Keith Kellogg. The W.K. Kellogg Foundation (WKKF) places the optimal development of children at the center of all they do and calls for healing the profound racial gaps and inequities that exist in communities. They believe in supporting and building upon the mindsets, methods and modes of change that hold promise to advance children’s best interests generally, and those of vulnerable children in particular. Concentrating their resources on early childhood (prenatal to age 8), within the context of families and communities, offers the best opportunity to dramatically reduce the vulnerability caused by poverty and racial inequity over time. WKKF works throughout the United States, in Haiti, Mexico, northeastern Brazil and southern Africa, and with sovereign tribes. 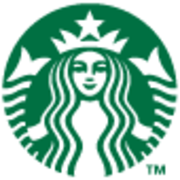 By bringing people together over coffee, Starbucks has become one of the world’s best-known and best-loved companies. We purchase, roast and serve award-winning coffee. We also offer Italian-style espresso beverages, cold blended beverages, delicious food, premium teas and selected compact discs through our retail stores. Our story began in 1971. Back then we were a roaster and retailer of whole bean and ground coffee, tea and spices with a single store in Seattle’s Pike Place Market. Our mission: to inspire and nurture the human spirit one person, one cup and one neighborhood at a time. Today, we are privileged to connect with millions of customers every day with exceptional products and nearly 18,000 retail stores in 60 countrie. At Starbucks, we have always believed in the importance of building a great, enduring company that strikes a balance between profitability and a social conscience. Ethical Sourcing: We take a holistic approach to ethically sourcing the highest quality coffee. This includes responsible purchasing practices, supporting farmer loans and forest conservation programs. When we buy coffee this way, it helps foster a better future for farmers and a more stable climate for the planet. It also helps create a long‐term supply of the high‐quality beans we’ve been carefully blending, roasting and packing fresh for more than 40 years. Environmental Stewardship: We share our customers' commitment to the environment. And we believe in the importance of caring for our planet and encouraging others to do the same. It is our goal that by 2015, 100% of our cups will be reusable or recyclable. We will also work to significantly reduce our environmental footprint through energy and water conservation, recycling and green construction. Community Involvement: From the neighborhoods where our stores are located to the ones where our coffee is grown – we believe in fostering thriving communities. Bringing people together, inspiring change and making a difference in people’s lives – it’s all part of being a good neighbor. By 2015, we hope to contribute one million volunteer hours each year to our communities.